The probe, Ogun-1, has arrived at Mun and has begun its month-long mission of surveying the moon for usable ore. After a few hours of transit from Kerbin to Mun, the second stage rocket motor fired itself back up to perform a final course correction before being jettisoned for a collision course for Mun to reduce space junk. Ogun-1 is currently surveying Mun for raw materials that can be refined into structural components for spacecraft. 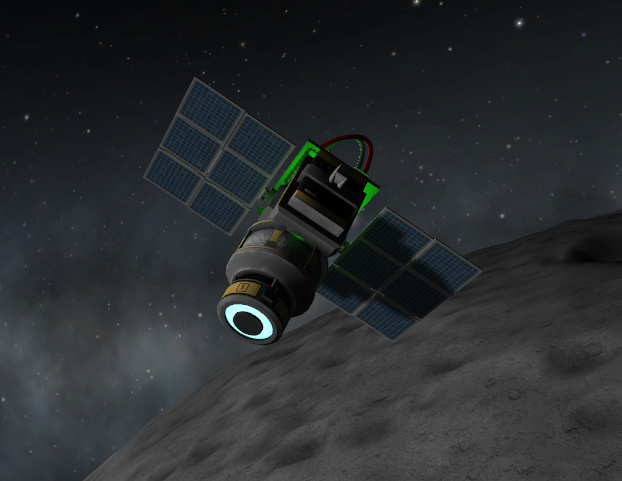 Ogun-1, a small probe, fitted with BG-MGN Magnetometer will scan for raw ore deposits on and under the surface of Mun. This in addition to the data provided by Explorer 3, which was launched almost two years ago to scan for kethane, will give future mission planners an excellent look into the raw resources available on the moon to perhaps industrial-based surface missions. RUD has been testing many surface craft designs that appear to be for low gravity environments during the past year. 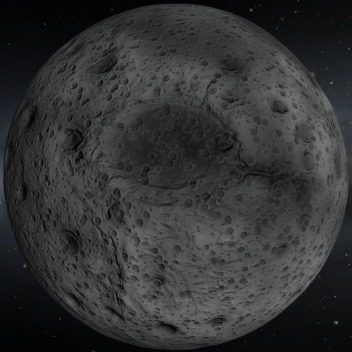 While not officially announced, their intentions may be to establish an orbital or surface base on Mun or a similar location such as Minmus or perhaps Ike or Gilly, which have all been surveyed for kethane by craft similar to Explorer 3. Ogun-1 is also testing a new type of Ion drive, one that is more efficient than previous ion propulsion systems. The PB-ION Electric Propulsion System uses 25% of the fuel of previous ion propulsion systems in probes that were sent out to Eve and Duna and provide significantly greater thrust and gives mission planners greater options. Results from the survey will not be made available for some time. RUD officials say it will take about two weeks to gather the data and a few more weeks to analyze and interpret it.